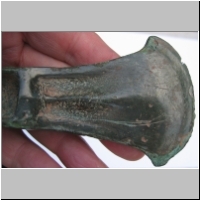 A late Bronze age axe head was discovered by Jonathan while ploughing a field at Brychgoed. 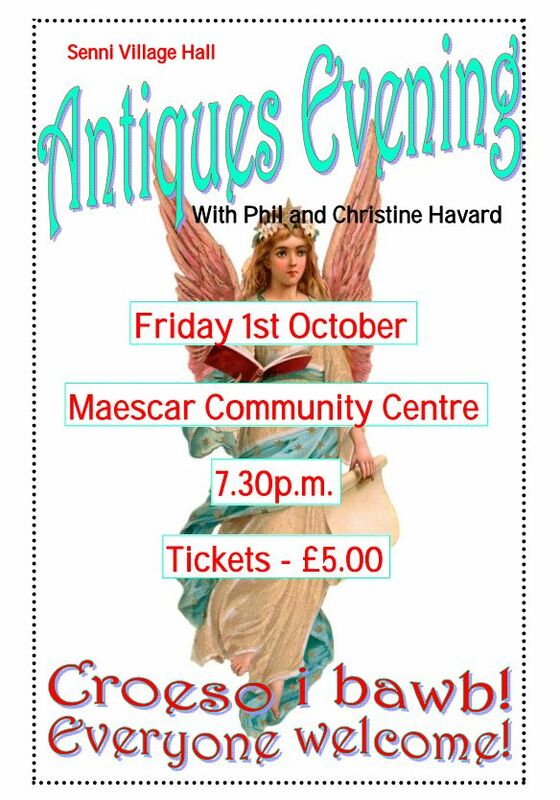 It is now in Brecon Museum. 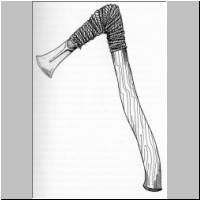 The drawing shows how the axe was probably attached to a handle. 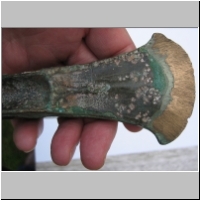 It was likely to have been a valuable item and used as a symbol of status as well as for cutting timber. One edge was damaged with a sharpening stone after its discovery, before its significance was recognized. Click on a thumbnail to show the full-sized picture. 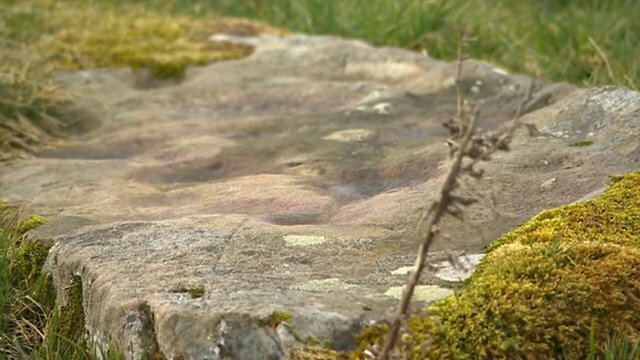 A carved stone about 1.45m (4ft 9in) long and half a metre (1ft 8 in) wide, with 12 cup (hollow) marks of various shapes and sizes on the face has been found nearby in 2014. It probably dates from the early to middle Bronze Age period - 2500 BC to 1500 BC - and it may have served as a way marker.